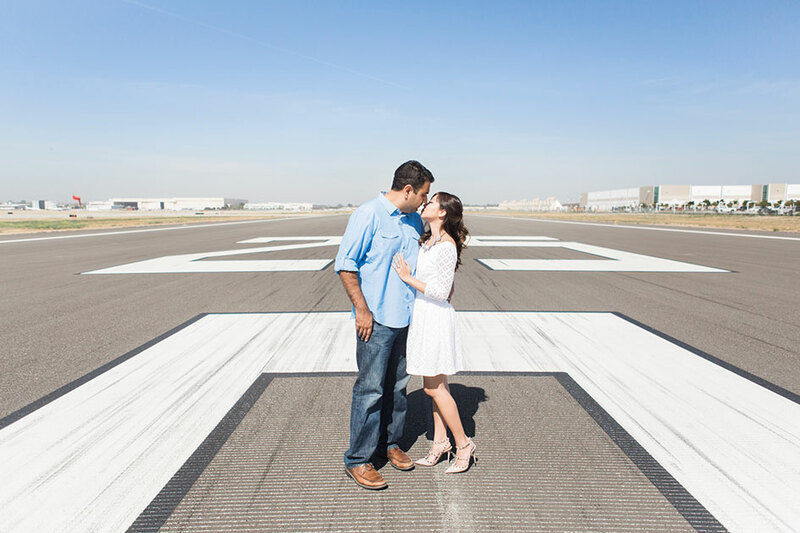 Gone are the days of a perfectly posed photo; today’s engagement sessions are about capturing the moment and being comfortable in front of the camera. 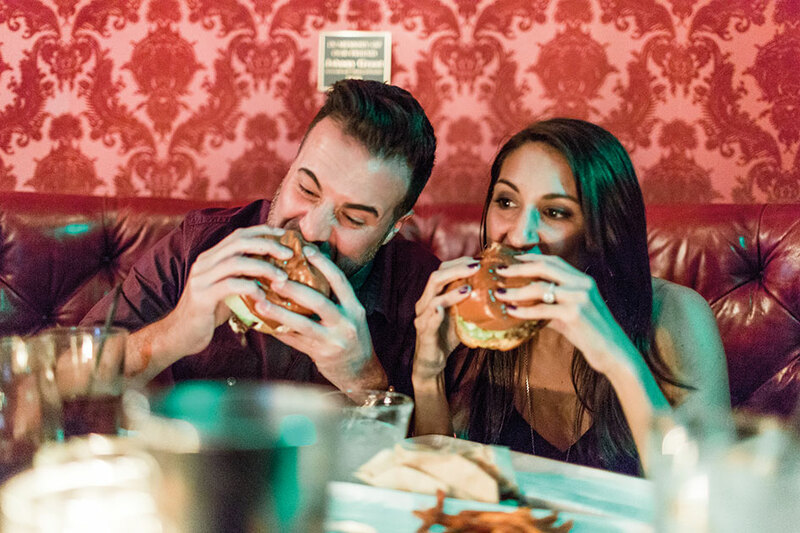 Photographers are finding new ways to draw out the personalities and passions of engaged couples, incorporating unique locations, favorite haunts, wardrobe changes and fun props. At the end of the day, it’s all expressing yourself. “Everyone wants to be unique, but it’s important to represent who they are as a couple,” says Los Angeles–based photographer Brian Saculles. 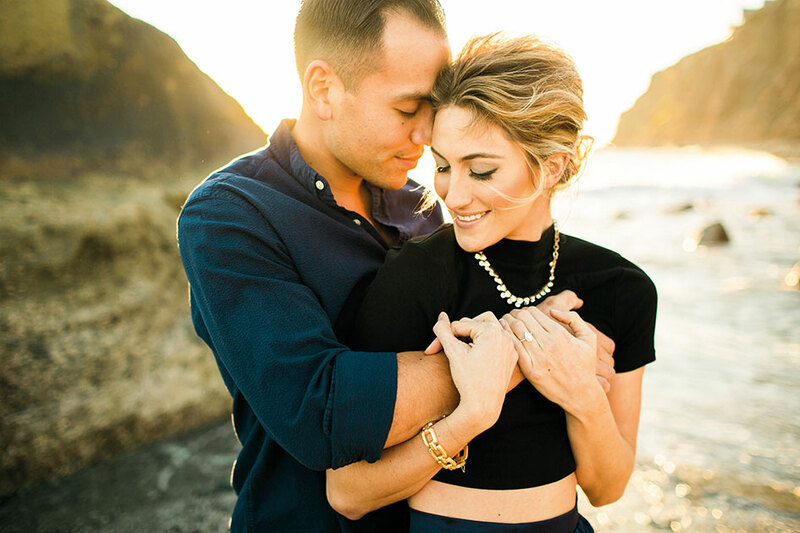 Here are eight surefire ways to ensure your engagement photos reflect your love story. 1. LIGHT IT UP: Get to know what photographic style you can expect from a photographer before you book that person. 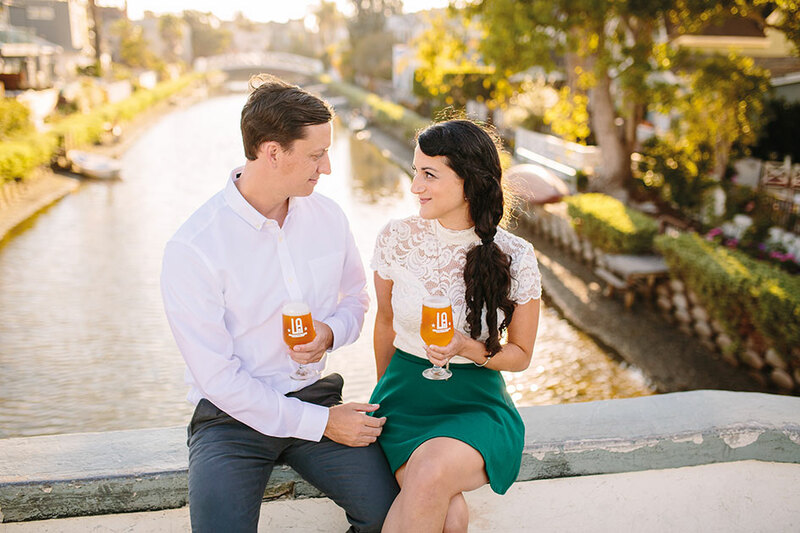 For example, Orange County–based Rich Lander of Chard Photographer shoots his clients’ engagement sessions exclusively using natural light at the golden hour, that time of day when the light from the low sun is soft and warm. 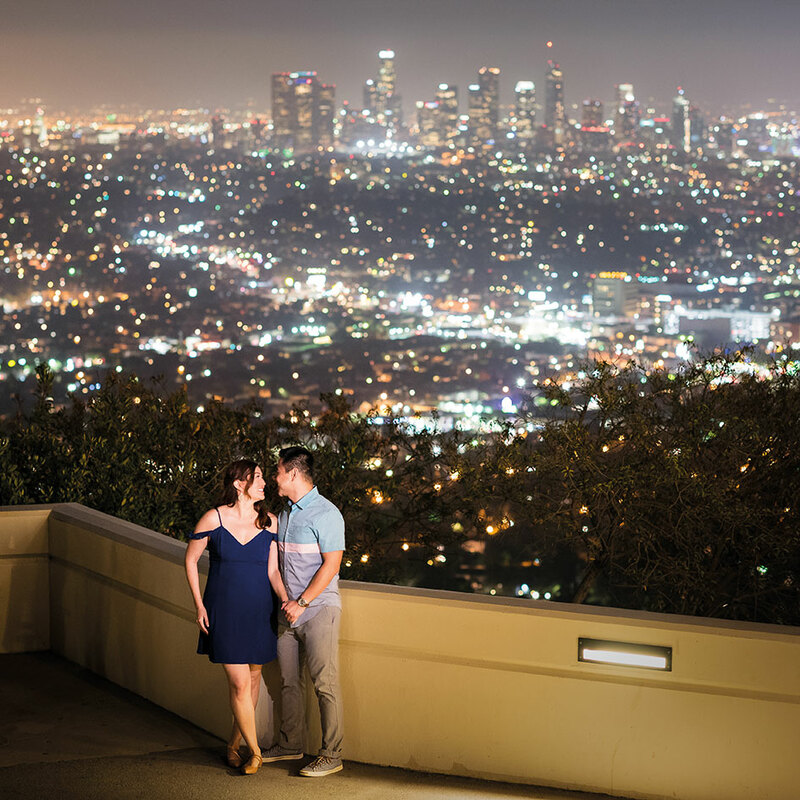 Orange County couple Vanessa and Eugene Hoang chose their photographer, Matthew Saville of Lin and Jirsa Photography in Tustin, because he was adept at taking the nighttime shots they desired. Looking at photographers’ work online will give you an idea of the type of images they produce. 2. GET CONNECTED: A photographer’s personality is as important as their photographic style. “If you’re quiet, you might not like a loud photographer or vice versa,” Lander says. Checking out photographers’ social media content, such as Instagram stories, can be a starting point to determining if your personalities mesh. 5. 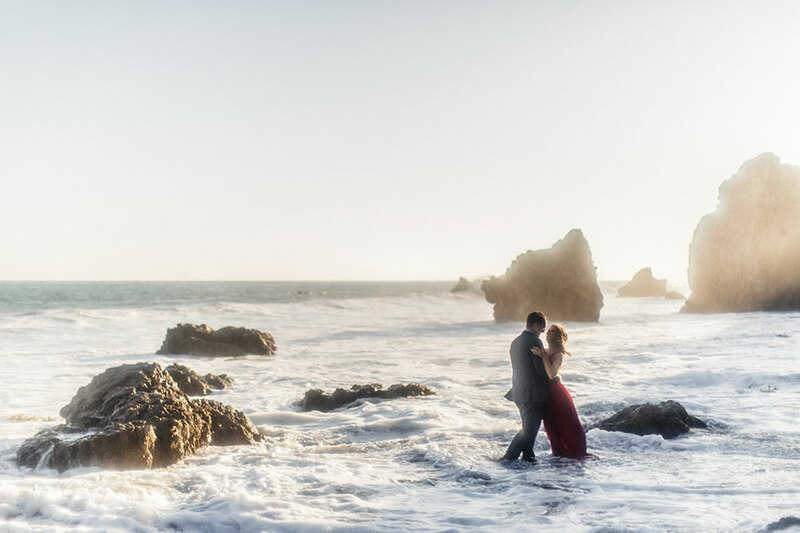 SET THE SCENE: Sam Lim of Sam Lim Studio and Yingka Chou of Master Plans Events & Designs, both from Los Angeles, combined their photographic and event design expertise to form Noblisse, an all-in-one package for pre-wedding photography services. 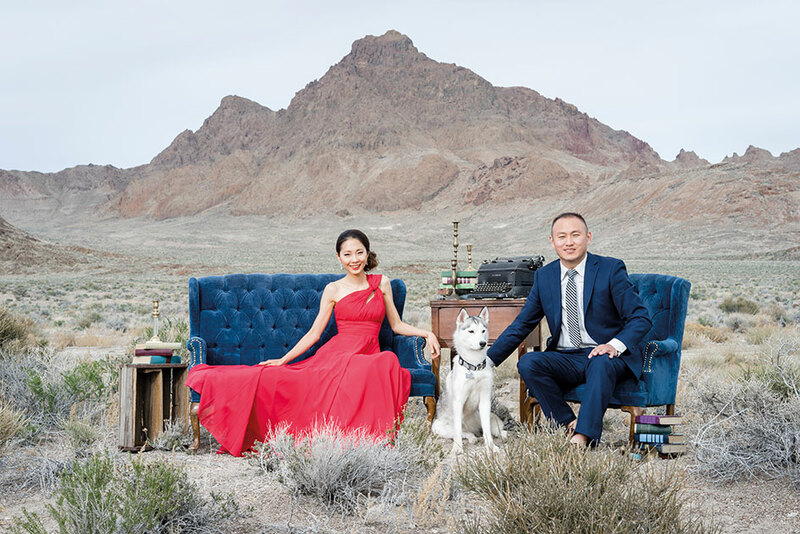 The pair will scout for a location—they recently flew to Utah for a session on the Bonneville Salt Flats—and provide props and wardrobe for an exotic, high-fashion shoot. Including travel, such a session can take an entire weekend. The trend of extravagant photo sessions before weddings originated in China and Korea, Lim says. Since weddings in Asia are less elaborate and last only two or three hours, more attention goes into the engagement photos. Many Noblisse clients are international students studying in Los Angeles, but Lim says the idea is gaining popularity with Americans as well. Part of the appeal is the ability to go all out in engagement photos while opting for a low-key, casual reception for the wedding. 9. 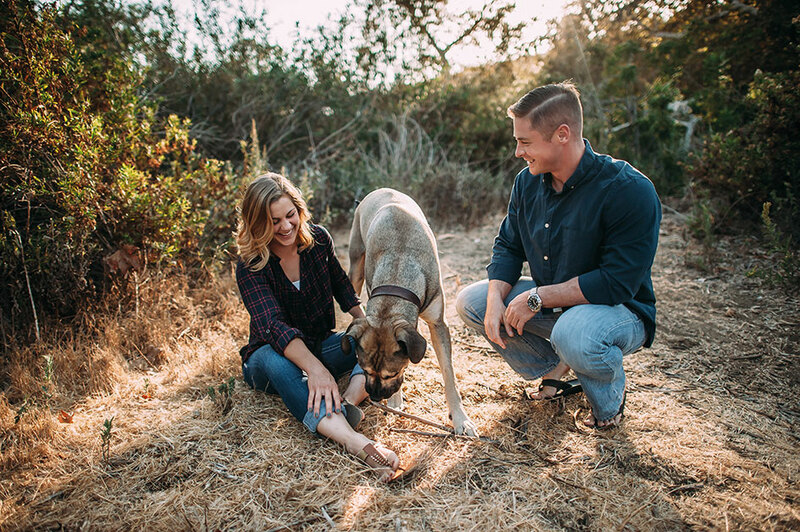 PETS WELCOME: Don’t forget about your favorite four-legged family members; including them in your engagement photos is a must for any pet lover. “One of the first questions I ask couples is if they have pets. 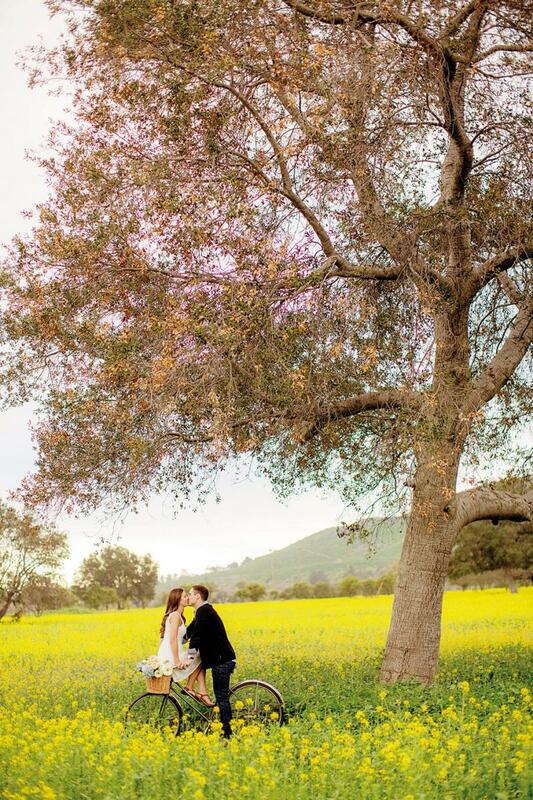 I encourage pets being in engagement photos—after all they are family!” says Ramirez. “Having pets during engagement sessions takes pressure off couples, and they always let loose with their pets.” Whether you and your pooch head for a familiar walk, go for a hike or just settle in for some cuddle time, adding Rover to the mix puts everyone at ease. 10. PUT 'EM TO USE: Once you have professional shots in hand, you’ll want to use them for more than getting likes on social media. 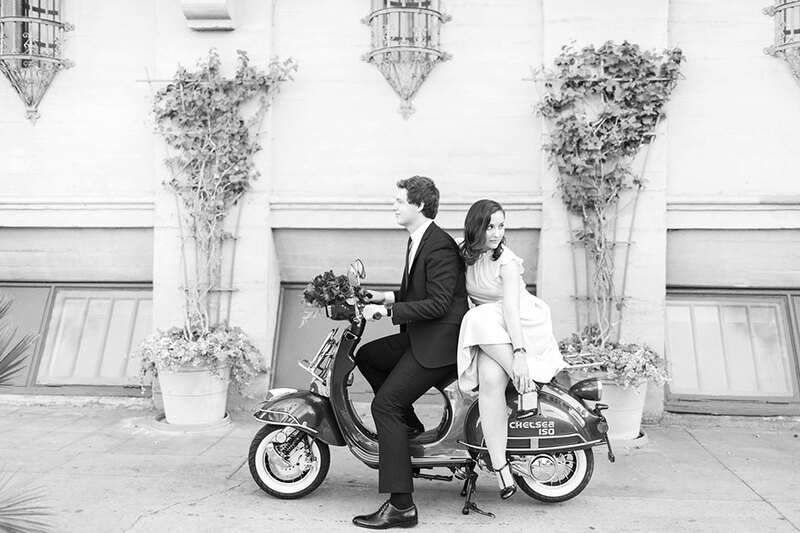 Leahy points out that because engagement images are less formal than wedding photos, they are more flexible. 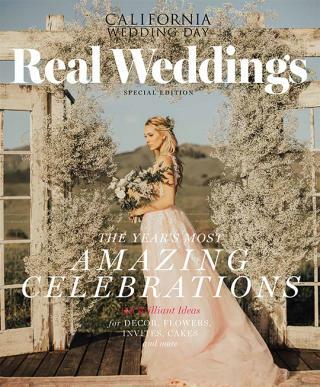 Make the most of yours by using them on your wedding website, save-the-date cards, thank-you cards, holiday cards, a photo guest book or displayed at the reception. 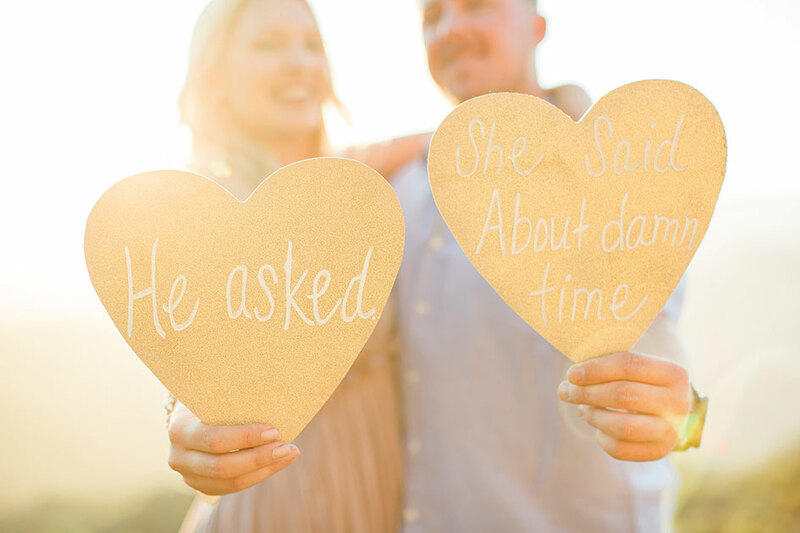 For a tasty touch, some couples even print photos on cookies with edible ink, or use an acrylic cutout of their silhouettes as a cake topper. Or, use your engagement session as a way to get beautiful art for your home, where you can enjoy canvas prints of your photos every day.